This paper presents an extension of an ongoing study of online learning framed within the community of inquiry (CoI) model (Garrison, Anderson, & Archer, 2001) in which we further examine a new construct labeled as learning presence. We use learning presence to refer to the iterative processes of forethought and planning, monitoring and adapting strategies for learning, and reflecting on results that successful students use to regulate their learning in online, interactive environments. To gain insight into these processes, we present results of a study using quantitative content analysis (QCA) and social network analysis (SNA) in a complementary fashion. First, we used QCA to identify the forms of learning presence reflected in students’ public (class discussions) and more private (learning journals) products of knowledge construction in online, interactive components of a graduate-level blended course. Next, we used SNA to assess how the forms of learning presence we identified through QCA correlated with the network positions students held within those interactional spaces (i.e., discussions and journals). We found that the students who demonstrated better self- and co-regulation (i.e., learning presence) took up more advantageous positions in their knowledge-generating groups. Our results extend and confirm both the CoI framework and previous investigations of online learning using SNA. Shea, P., Hayes, S., Uzuner Smith, S., Vickers, J., Bidjerano, T., Gozza-Cohen, M., Jian, S.B., Pickett, A., Wilde, J. & Tseng, C.H. (2013). Online learner self-regulation: Learning presence viewed through quantitative content- and social network analysis. 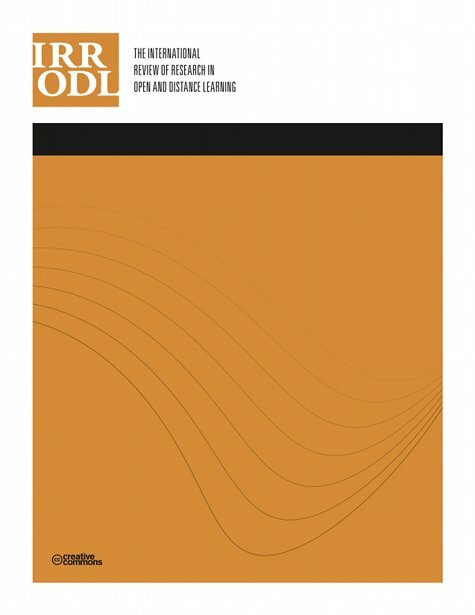 The International Review of Research in Open and Distributed Learning, 14 (3), 427-461. Athabasca University Press. Retrieved April 21, 2019 from https://www.learntechlib.org/p/171070/. Adler, E.S., & Clark, R. (2011). An invitation to social research: How it’s done. Belmont, CA: Wadsworth. Allen, I.E., & Seaman, J. (2013). Changing course: Ten years of tracking online education in the United States. Babson Park, MA: Babson Survey Research Group. Anderson, T., Rourke, L., Garrison, D.R., & Archer, W. (2001). Assessing teaching presence in a computer conferencing context. Journal of Ansynchronous Learning Networks, 5(2), 1–17. Aviv, R., Erlich, Z., Ravid, G., & Geva, A. (2003). Network analysis of knowledge construction in asynchronous learning networks. Journal of Asynchronous Learning Networks, 7(3), 1-23. Bixler, B.A. (2008). The effects of scaffolding student’s problem-solving process via question prompts on problem solving and intrinsic motivation in an online learning environment (Doctoral dissertation). The Pennsylvania State University, State College, PA.
Chi, M.T.H. (2009). Active-constructive-interactive: A conceptual framework for differentiating learning activities. Topics in Cognitive Science, 1, 73-105. Cho, H., Stefanone, M., & Gay, G. (2002). Social network analysis of information sharing networks in a CSCL Community. Paper presented at the Proceedings of Computer Support for Collaborative Learning (CSCL) 2002 Conference, Boulder Co.
Cho, H., Geri, G., Davidson, B., & Ingraffea, A. (2007). Social networks, communication styles, and learning performance in a CSCL community. Computers& Education, 49(2), 309–329. Dawson, S. (2008). A study of the relationship between student social networks and sense of community. Educational Technology& Society, 11(3), 224-238. Dawson, S., Bakharia, A., & Heathcote, E. (2010). SNAPP: Realizing the affordances of real-time SNA within networked learning environments. Proceedings of the 7th International Conference on Networked Learning. Dawson, S. (2010). ‘Seeing’ the learning community: An exploration of the development of a resource for monitoring online student networking. British Journal of Educational Technology, 41(5), 736-53. Dennen, V.P. (2008). Looking for evidence of learning: Assessment and analysis methods for online discourse. Computers in Human Behavior, 24(2), 205-219. Heo, H., Lim, K.Y., & Kim, Y. (2010). Exploratory study on the patterns of online interaction and knowledge co-construction in project-based learning. Computers& Education, 55(3), 1383–1392. Lombard, M., Snyder-Duch, J., & Bracken, C.C. (2002). Content analysis in mass communication: Assessment and reporting of intercoder reliability. Human Communication Research, 28(4), 587-604. Lowes, S., Lin, P., & Wang, Y. (2007). Studying the effectiveness of the discussion forum in online professional development courses. Journal of Interactive Online Learning, 6(3), 181-210. Means, B., Toyama, Y., Murphy, R., Bakia, M., & Jones, K. (2009). Evaluation of evidence-based practices in online learning: A meta-analysis and review of online learning studies. Washington, D.C.: U.S. Department of Education, Office of Planning, Evaluation, and Policy Development. Nelson, B.C. (2007). Exploring the use of individualized, reflective guidance in an educational multi-user virtual environment. Journal of Science Education and Technology, 16(1), 83–97. Neurendorf, K.A. (2002). The content analysis guidebook. Thousand Oaks, CA: Sage Publications. Rourke, L., Anderson, T., Garrison, D.R., & Archer, W. (1999). Assessing social presence in asynchronous text-based computer conferencing. Distance Education, 14(2), 50–71. Shea, P., & Bidjerano, T. (2010). Learning presence: Towards a theory of self-efficacy, self-regulation, and the development of a communities of inquiry in online and blended learning environments. Computers& Education, 55(4), 1721–1731. Shea, P., Hayes, S., & Vickers, J. (2010). Online instructional effort measured through the lens of teaching presence in the community of inquiry framework: A Reexamination of measures and approach. International Review of Research in Open and Distance Learning, 11(3), 127-154. Shen, P.D., Lee, T.H., & Tsai, C.W. (2007). Applying web-enabled problem-based learning and self-regulated learning to enhance computing skills of Taiwan’s vocational students: A quasi-experimental study of a short-term module. Electronic Journal of e-Learning, 5(2), 147–156. Swan, K., & Ice, P. (2010). The community of inquiry framework ten years later: Introduction to the special issue. Internet and Higher Education, 13(1-2), 1-4. Yang, H.-L., & Tang, J.-H. (2003). Effects of social network on students' performance: A web-based forum study in Taiwan. Journal of Asynchronous Learning Networks, 7(3), 93-107. Zimmerman, B.J. (1998). Developing self-fulfilling cycles of academic regulation: An analysis of exemplary instructional models. In D.H. Schunk & B.J. Zimmerman(Eds. ), Self-regulated learning: From teaching to self-reflective practice (pp. 1–19). New York: Guilford. Zimmerman, B.J. (2000). Attaining self-regulation: A social cognitive perspective. In M. Boekaerts, P.R. Pintrich & M. Zeidner (Eds. ), Handbook of self-regulation (pp. 13–39). New York: Academic Press. Zimmerman, B.J. (2008). Investigating self-regulation and motivation: Historical background, methodological developments, and future prospects. American Educational Research Journal, 45(1), 166–183.